CENTAC 2018 (केंद्रीय प्रवेश समिति पुडुचेरी): The Central Admission Committee Puducherry conducts the counselling process for the admissions of aspirants in various pharmacy, engineering etc. courses. The admissions will be provided in the government institutions of Puducherry and many other union territories. The students have to apply online for the CENTAC Application form 2018 on the official website. The forms will be released in the month of May. the students will be selected on the basis of their marks obtained in the 12th standard. The CENTAC Admissions 2018 will totally depend upon the counselling process. there will be no entrance exam conducted by the authorities. The students have to submit the CENTAC Pondicherry Application form 2018 before the last date of the form. the deadline for the form is in the last week of May. The students cna access the form on the official website. We will provide here the direct link through which they will be able to complete the CENTAC Application form. They just have to follow some steps to perform these process. STeps to submit CENTAC Registration 2018. Then click on the apply online link present on the homepage. Now Enter your all valid details and register yourself. After registrations, a Unique id and password will be provided to the students. Now complete the application form. Attach the scanned copy of documents, prescribed size photograph and signature along with the form. The aspirant must have passed 12th Class from any recognized board. Must have PCM subjects in the qualifying exam. They must have secured minimum 45% (40% for reserved categories) in Class 12. The number of attempts for SC category is 3 and for rest, others are 2. Must have PCB subjects in the qualifying exam. Aspirant must have passed 12th Class from any recognized board. They must have secured minimum 50% (40% for SC/ST/PH and 45% for OBC/BCM/MBC/OPH etc reserved categories) in Class 12. The aspirants who will submit the application form successfully will get eligible for the admission procedure. The authorities will release the CENTAC Merit list in the fourth week of June. The aspirant will be selected on the basis of their marks obtained by them, in the 12th standard. The aspirants can check the merit list on the official website. They just have to enter their application number and date of birth in the desired space. The students who will get selected in the merit list will be called for the CENTAC Counselling Procedure. The process will starts in the fourth week of June. The students will be informed for the counselling via SMS/ calls/ email. The aspirants have o submit their required documents on the day of counselling. The counselling will be done according to the CENTAC matrix. The authorities will complete the CENTAC Seat Availability 2018 process in the month of June so that the classes for the first year can be started in the month of July. The aspirants who will be called for the counselling and gets a successful seat they have to report at the allotted institute for the confirmation of the CENTAC Admissions. They have to pay the required application fee along with the submission of the documents. The students have to report at the centres in the allotted period. If any student fails to do so his/ her seat will be given to the next candidate. 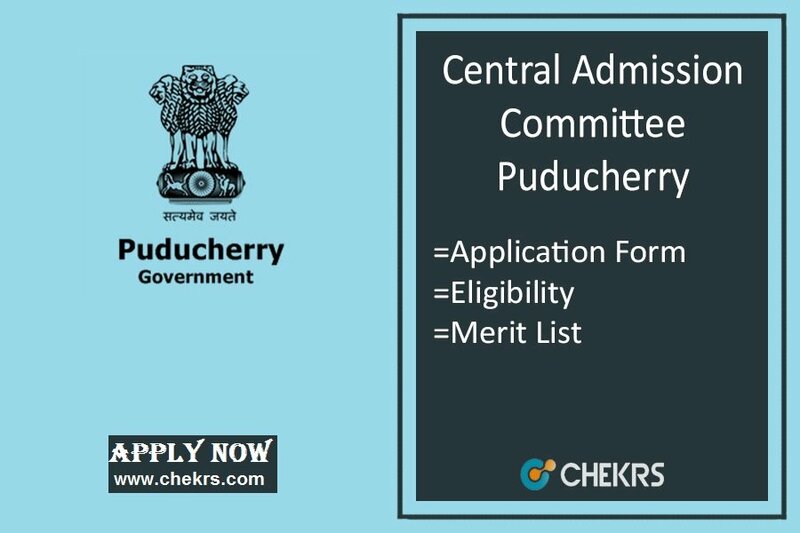 For feedback and more queries regarding CENTAC Punducherry Admissions 2018, you can contact us by commenting in the comment section given below.